Analog Clock - Master Clock & Sync Expert | Preciso Tecnology Sdn. Bhd. 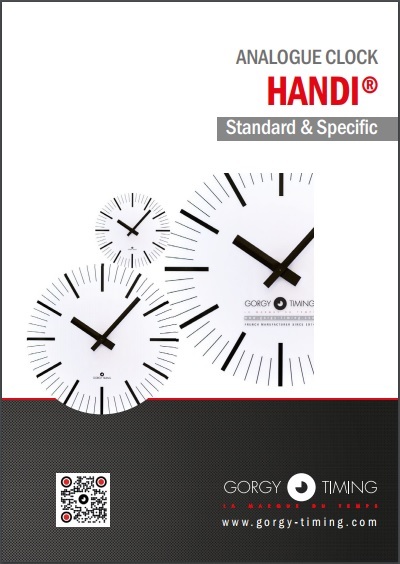 The Standard version of HANDI® analog clock range is composed of a flat aluminum case, a white dial with black Arabic numerals and hands, ensuring easy visibility. In many fields of application, the quality of HANDI® analog clocks has become reference in terms of accuracy, visibility and robustness. Analog clocks are valued for easy reading of time from a quick glance. It allows the users to have a visual position relative to the time. To meet requirements of its clients, Gorgy Timing analog clock range comes in different versions. Special and customized models can also be provided upon request. Check our complete series of analog slave clock model & comparison ! Download our HANDI® catalog Now !